Alimony is deductible on your income tax return if you are paying it. It is taxable to you if you are receiving alimony. Remember there is no tax withholding on alimony payments. So you have to pay quarterly estimated taxes on it to the IRS and state if you are awarded alimony in a divorce. Child support and property transfers receive the opposite tax treatment. Child support is not tax deductible to the person paying it. You do not include it as taxable income if you are receiving it. Payments for property are tax free and not tax deductible to the payor. For example, if you buy your spouse’s share of the marital residence, the payment is not deductible by you and not income to your spouse. 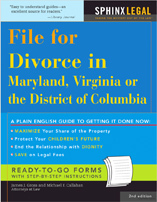 The deductible nature of alimony presents an opportunity for tax planning during a divorce. You might agree to alimony in a settlement, even if the court might not award it, because it may be an advantageous way to provide support to your family. George and Lucille have a young child. George is a construction foreman who makes $150,000 a year. Lucille is a teacher who makes $24,000 a year. As it turns out, George can afford to pay Lucille more alimony than he would in child support. That is because Georgeis in a higher tax bracket than Lucille so the alimony deduction is more valuable to him than to Lucille. Lucille in the lower tax bracket will pay less tax on the alimony income than George would pay on his income without the alimony deduction. There is more money because Uncle Sam is contributing some through the tax deduction.